Entrepreneurs fail significantly more than they succeed and those that succeed are not necessarily smarter than everyone else but are more resilient—able to find creative solutions to difficult problems and refusing to fail. Like the foundation for a house, the most important building blocks of entrepreneurship are learning to take risks, not being afraid to fail, and being able to see things differently—all traits demonstrated extremely well here. An MBA-quality description of what it takes to be an entrepreneur. This is a fantastic book to help instill in children of all ages the necessary characteristics of an entrepreneur. When Rae witnesses an ice cream-and-doggie mishap, she’s inspired to create a big-scale solution to help get dogs clean. The pictures show Rae building her dog washing business while the words describe the characteristics needed to be an entrepreneur such as taking risks, learning from your mistakes, feeling confident about your judgment, and identifying a need and being brave enough to do something about it. 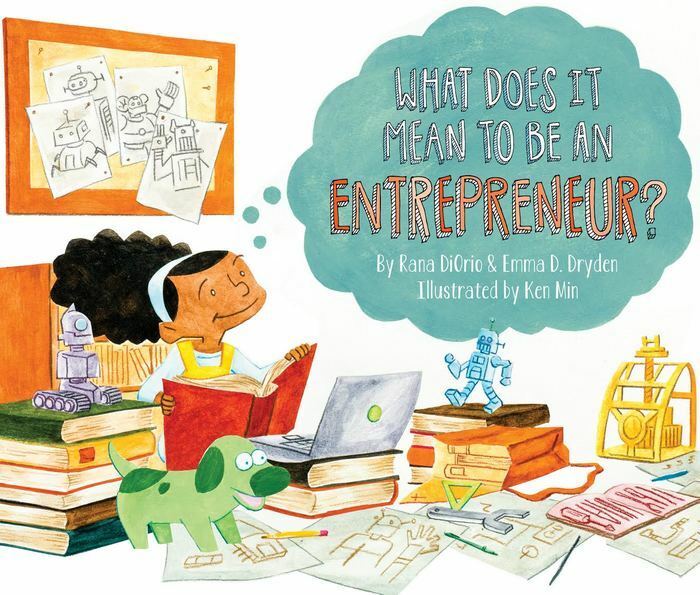 Don’t think of this as just a picture book; the lessons in here are appropriate for anyone including teens, grads, even adults—buy a copy for your friend who just started her own business! Entrepreneurs fail significantly more than they succeed and those that succeed are not necessarily smarter than everyone else but are more resilient—able to find creative solutions to difficult problems and refusing to fail. Like the foundation for a house, the most important building blocks of entrepreneurship are learning to take risks, not being afraid to fail, and being able to see things differently—all traits demonstrated extremely well here. Start a business with your daughter this weekend. Don’t let her put too much thought into what business she should start, it’s more important that she just get out there and do it. Feel free to start small! A lemonade stand or bake sale are great first businesses that don’t require a lot of preparation or pre-thought. Let her make mistakes, learn from them, and begin to experience entrepreneurship. She can choose her favorite charity or cause to donate a portion of the proceeds or raise money for something that she wants to buy herself. Once a week ask your daughter about a recent mistake she made or something she failed at. Congratulate her on the mistake or failing and ask her if she learned anything from it (if she didn’t that’s okay, the point is to get her comfortable with taking risks and failing). Then tell her about a mistake you made so she sees that you make them too. 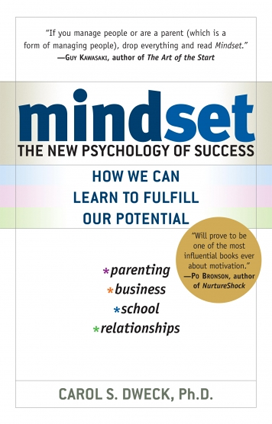 My favorite book for adults that parallels the entrepreneurial mindset teachings of this book is Mindset by Carol Dweck. Carol Dweck is a world-renowned Stanford University psychologist who discusses the difference between a Fixed Mindset (believing that your qualities are carved in stone which creates an urgency to prove yourself over and over) and a Growth Mindset (based on the belief that your basic qualities are things you can cultivate through your efforts). Although people differ in their initial talents, aptitude, interests, or temperaments, everyone can change and grow through application and experience. The book offers examples of instilling a growth mindset in your daughters such as: Praise them for their effort not the result. Say “Wow, you got 8 right. That’s a really good score. You must have worked really hard.” Instead of “Wow, you got 8 right, you’re so smart.” Because if success means they’re smart, then failure means they’re dumb—that’s the fixed mindset.